Entering the Vietnamese market in July 2016, Trao Group’s aim was to grow and manage a group of companies that deliver respectful products at respectful prices. Established in June 2012, Roselle Vietnam grew to become the leading supplier of Hibiscus products in Vietnam. 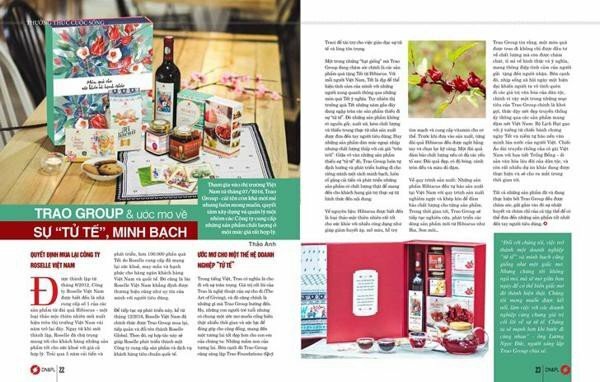 Roselle Vietnam’s focus was to create appetizing health products derived from the Hibiscus plant, and supply them to the market at a respectful price. Over the course of five years Roselle Vietnam also successfully distributed over one hundred thousand Tet gift boxes, each spreading health, luck, prosperity, and happiness to their recipients worldwide. 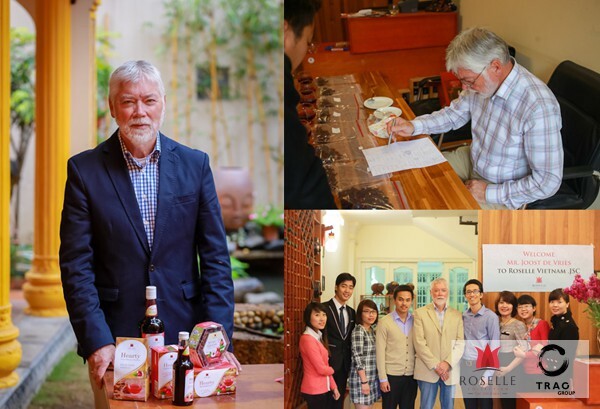 Trao Group acquired Roselle Vietnam in December 2016 and the name was changed to Roselle Global in order to take the brand further afield. The acquisition is set to transform the organisation into a global supplier, and help the company develop the world-class customer service it will need for the global stage. In Vietnamese “Trao” means to give respectfully. Thus, Trao Group’s pragmatic core aim is to develop the art of giving. Backed by international investment, Trao Group was founded by experienced, ambitious American and Vietnamese businessmen. Their collective dream was to create a company that contributes more time and resources to community development, and thereby secure a future for communities. Trao Group has also set up the Trao Foundation, which is dedicated to spreading and teaching kindness, and the art of respectfulness. For every Vietnamese family, the Tet holiday is a time to express their care and affection for others through the giving of meaningful gifts. One product being further developed by Trao Group is the collection of Tet gift boxes comprised of Hibiscus products. Recently the market for Tet gifts has been flooded with disrespectful and unkind products. Low quality, imported products that have often turned out to be counterfeits which were detrimental to people’s health. To combat this issue, Trao Group has established a transparent development pathway. They strive to evolve and improve their high-quality product range to deliver a memorable experience every customer. The Hibiscus flower provides many health benefits including reducing blood pressure, strengthening the cardiovascular system, and providing essential vitamins and minerals to the body. Each Trao Group Hibiscus sepal is carefully handpicked to ensure the finest quality, symmetry, shape, and color. All Trao Group products are proudly made in Vietnam under strictly controlled processes to ensure the highest quality. Trao Group says they will continue to develop new products from the Hibiscus plant, and currently the company is working on a Hibiscus craft beer, and Hibiscus cosmetics. The Trao Group team tells us that each gift is chosen not only for its look and quality, but also for its meaning and message. The hustle and bustle of city life tends to make people unconsciously forget about their culture and traditions. To reverse this phenomenon and revive time honored Vietnamese traditions, Trao Group is developing products that promote Vietnamese culture. The Rice Grain Calendar - originating from the image of “Banh Chung” (steamed rice cake) and the rice cultivation processes of Vietnam’s farmers; and the Bronze Drum Ao Dai - a combination of the two most iconic images of Vietnam, are perfect examples of this. The Trao Group team insists they will continue to produce more meaningful products in the time to come. All of Trao Group’s products are carefully designed, crafted, and imbued with the team’s passion for delivering nothing but the best to their clients. In exchange for a formal conclusion, Trao Group founder Mr. Luong Ngoc Duc will share his ambition for generating respectful business in Vietnam. “For us, becoming a respectful and transparent business is our dream. But we strongly believe that we don’t just dream at night, we also need to dream during the day until our dream comes true. We might not become rich, but at least we can be proud of what we have done, and to earn respectful money through our creativity, hard work, and respect for our customers.